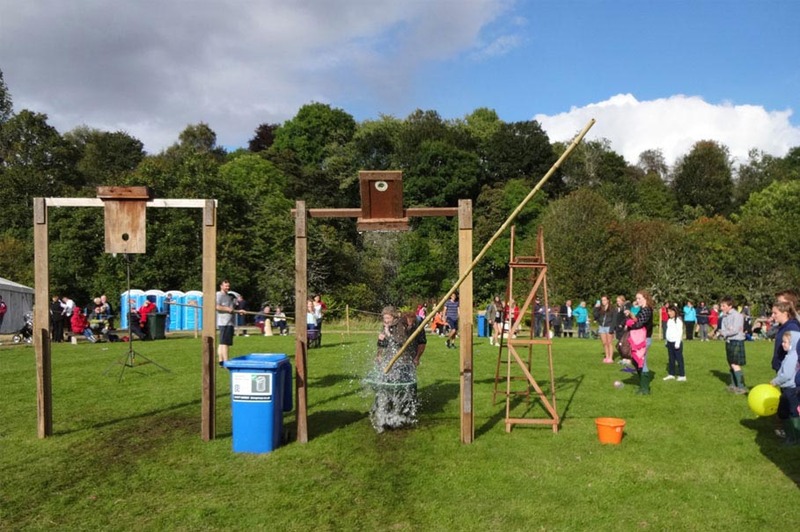 The Strathardle Gathering and Highland Games, which have been staged at Bannerfield in Kirkmichael since 1871, commence in the morning with the agricultural classes. Later on traditional activities including caber tossing, piping, tug o’ war, heavyweight events and a highland dancing competition get under way. Above all its a great day for family and friends who can get involved in many of the activities including several quirky games such as tilt the bucket and musical cars. One of the annual highlights is the fiercely contested Robertson Cup Tug o’ War between the neighbouring glens of Stathardle and Blackwater. Every year the gathering takes place on the penultimate weekend of August and is well worth a visit.